So you’re moving, and on your very long moving-related “to-do” list is that old favorite: packing. Did you just let out a big sigh at the thought? Us, too. Face it, it’s no fun. 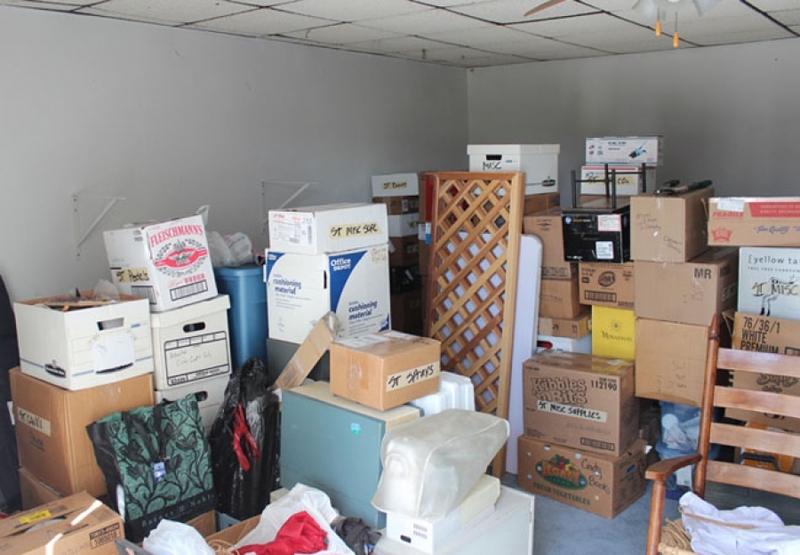 Actually putting stuff in boxes isn’t the hard part for many people; It’s the dreaded sorting and de-cluttering and getting rid of stuff that sends many into a panic. Take a deep breath and we’ll get through these tips together. If you’ve got boxes and boxes of old receipts and taxes and printed emails dating back to the turn of the century, it’s time to dive in. “Keep everything for seven years” is ingrained in many of our brains, but, according to financial expert Suze Orman, that’s not necessary. She says the only thing that needs to be kept for seven years are records of satisfied loans. Income tax returns only need to be kept for three years (can we get a Hallelujah?). But, there are some reasons to keep them longer, depending on your with-holdings. You can see all her recommendations here. It can get sticky when it comes to things you’ve been willed or handed down. If you feel like you need to hold on to that old antique dresser that’s been in your family for two generations – and that’s sitting in the garage because it’s not your style – or your grandmother’s china that you’ll never use, we get it. If you know you’ll never use the item as is (China? Not even for Thanksgiving? ), can’t find a way to re-purpose the item (Can that old sideboard be painted? ), and there isn’t another family member who will take it, maybe it’s time to think about selling it. You might be surprised at how valuable old antiques and collectibles can be. And, if you’re feeling bad about selling your heirlooms, you can always donate the money to a worthy cause; that will help you assuage your guilt. When you get to No. 7, take a deep breath. Many people have clothes in a couple of sizes to accommodate things like post-pizza-pig-out days, but if you’re holding on to 15 pairs of pants that haven’t fit you since 2002, maybe it’s time to ditch them. These can make big purchases easier – if you are good at managing your credit. Miss a payment or fail to pay off your balance within the allotted time and you’ll have interest accrued going back to the date of purchase plus a whopping interest rate, which can put payments out of reach. You may also receive 0% interest offers from places like Lowes and Home Depot, which can be a great way to update appliances, flooring, or counter-tops, and Best Buy for your electronic needs.